MV Giamani is the Thailand liveaboard that covers the largest amount of different dive sites, as it’s the only boat that does scheduled cruises to both the South Andaman Sea (Koh Haa, Hin Daeng & Hin Muang, Phi Phi Island, Racha Islands etc.) and North Andaman Sea (Similan Islands, Koh Bon, Koh Tachai, Richelieu Rock, Surin Islands and the Khaolak Wrecks). By joining an MV Giamani Diving Liveaboard cruise you will have the opportunity to visit the best Thailand dive sites, experiencing an incredible diversity of landscapes, marine life and underwater scenery. 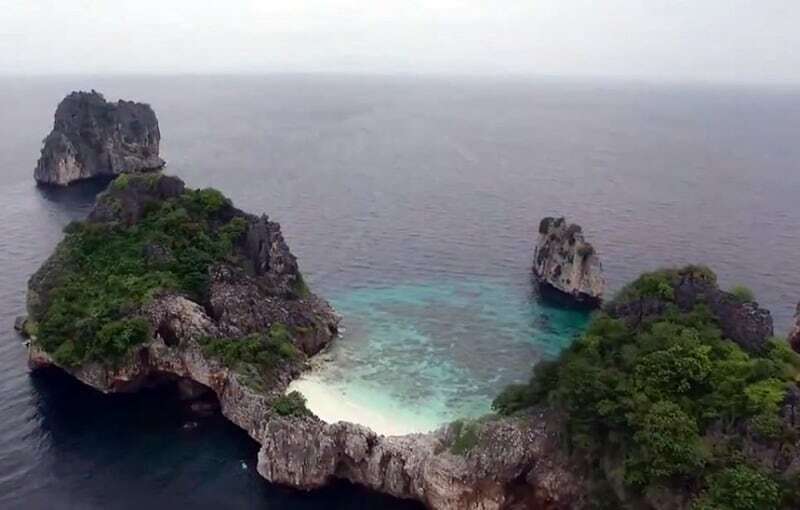 Koh Haa is an archipelago of 5 small islands (“Koh Haa” in Thai literally means “5 Islands”) located approximately 20 miles south of the notorious Phi Phi Islands. The islands offer a variety of great dive sites with crystal clear water and lively coral reefs. 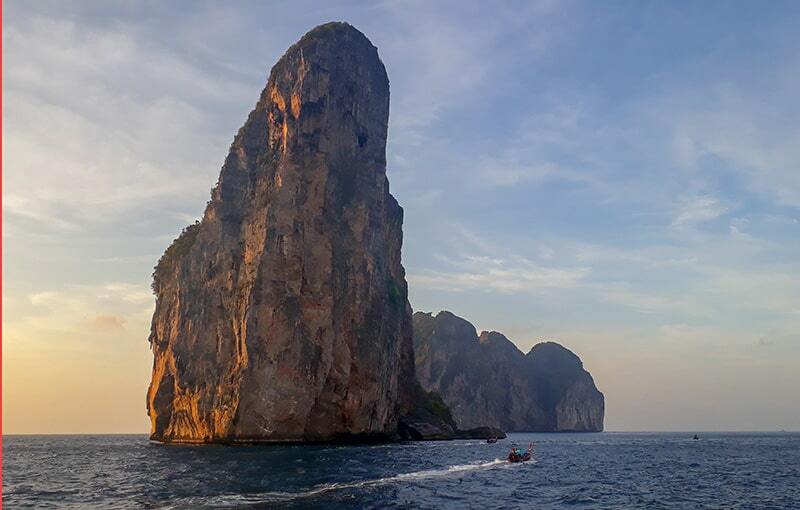 Hin Daeng & Hin Muang are two semi-submerged pinnacles in the open ocean further south, offering amazing reefs and even chances to spot Oceanic Mantas and Whale Sharks. The popular Phi Phi Islands offer a large variety of beautiful dive sites accessible all year round. The coral reefs are very healthy with both soft and hard corals, and the landscapes outside of the water are simply breathtaking. Phi Phi Archipelago offers a great diversity of marine life, including good chances to spot Black Tip Reef Sharks and Leopard Shark. Period: Open all year round. Giamani cruises from 15 May to 15 Oct.
Racha Yai and Racha Noi Islands are located approximately 13 and 23 miles south of Phuket respectively. Both islands offer many dives sites characterized by very clear water and plenty of marine life. In Racha Noi, with a bit of luck, is sometimes possible to spot Oceanic Manta Rays. 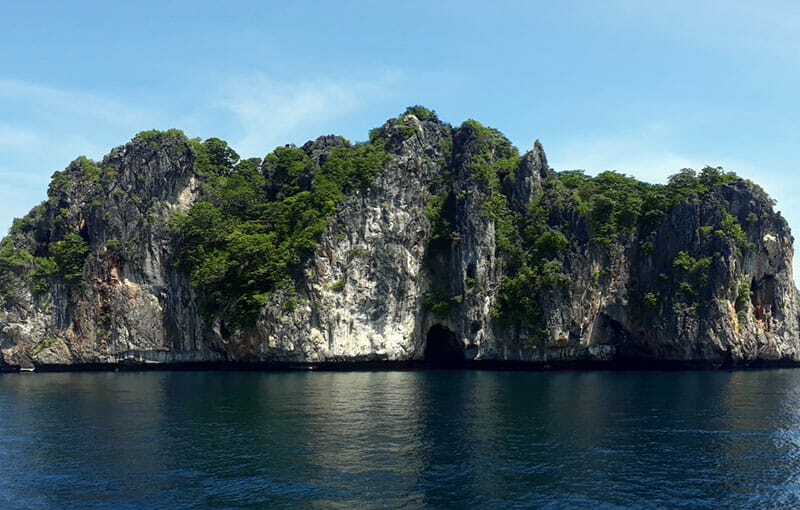 These three dive sites are located en-route between Phi Phi Islands and Phuket, so they are perfect to dive on the way back from the southern cruises. 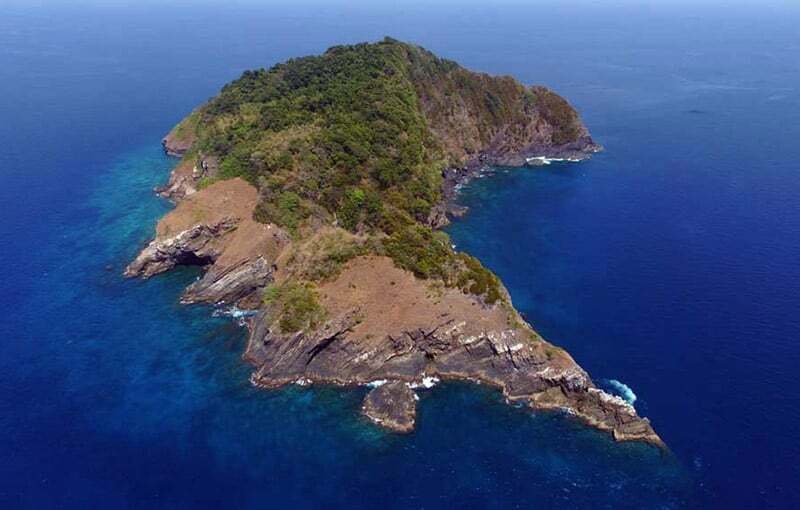 Shark Point is a series of pinnacles with healthy reefs and plenty of marine life. King Cruiser is a huge and beautiful wreck, completely covered by schools of fish and corals. Koh Doc Mai is a nice wall dive, especially for “macro” enthusiasts. Period: Giamani cruises running all year round. 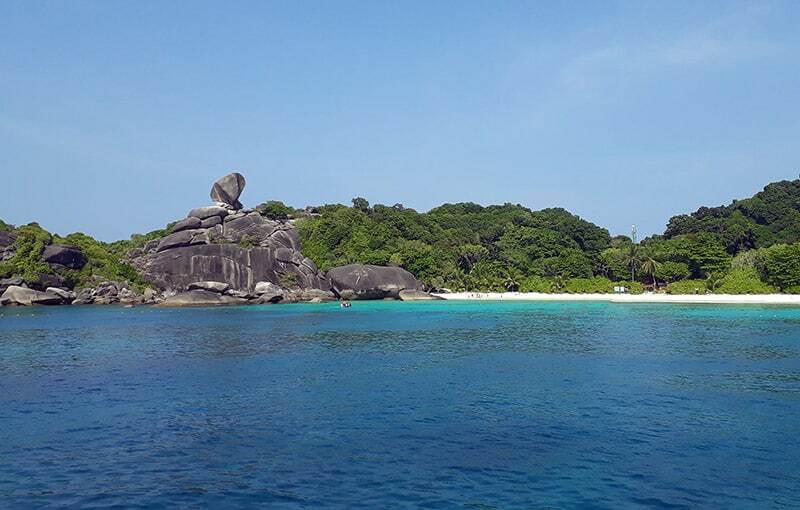 Similan Islands are an archipelago made of 9 islands in the open ocean, about 40 miles west of Khao Lak. These granite islands offer a great variety of beautiful dive sites with crystal clear water, amazing reefs and abundant marine life as well as breathtaking landscapes and beaches. 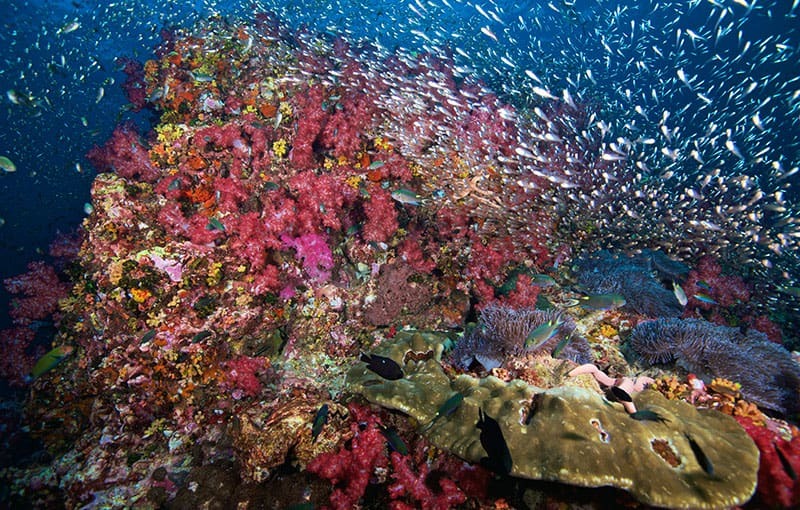 Similans certainly offer some of the best diving in Thailand. Koh Bon and Koh Tachai are two small islands located further north of Similan Islands, and offer some of the best dive sites in Thailand. The islands usually feature crystal clear water and probably the largest abundance of big pelagic fish in Thailand, as well as offering chances to spot big animals such as Oceanic Manta Rays and Whale Sharks. Richelieu Rock – world’s top 10 dive sites! Richelieu Rock is a semi-submerged pinnacle located east of Surin Islands. 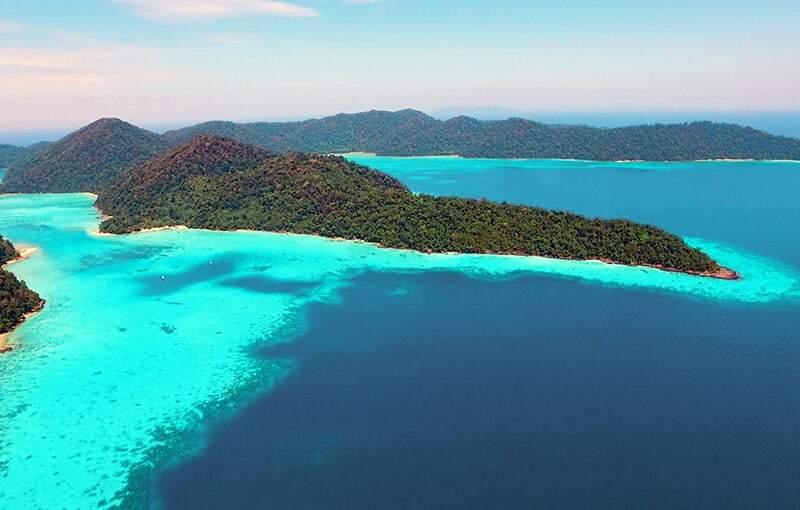 The site belongs to Surin Islands National Park (see below), however, due to its unique beauty, it deserves a section of its own. Richelieu Rock is without any question the best & most incredible dive site in Thailand, and objectively considered one of the TOP 10 dive sites in the world! 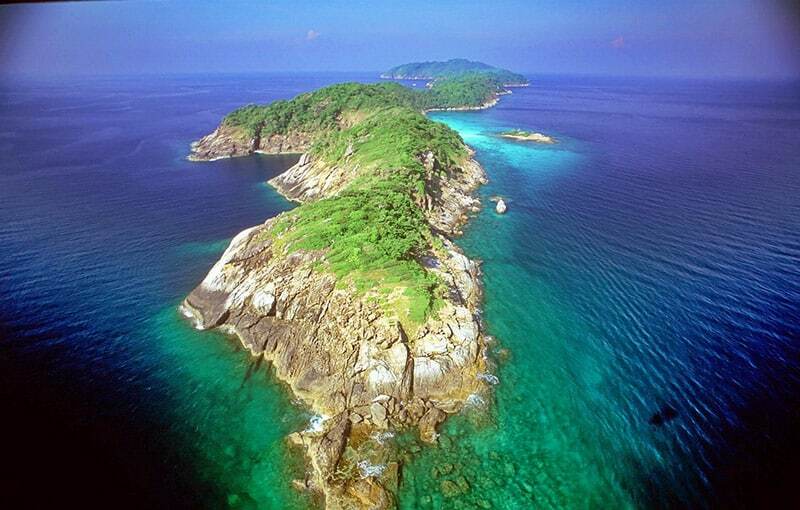 Surin Islands are located further north of Similand and are the last frontier before the border with Myanmar. The archipelago is made of five islands quite off the beaten track and characterized by beautiful empty beaches and blue waters. The only inhabitants are the “Moken” Sea Gypsies who live very simple life on a beachfront village. Surin Islands offer a few pretty interesting dive sites, which we normally dive on special schedule cruises. Off the coast of Khao Lak there are a few interesting shipwrecks that are definitely worth a dive, and it’s usually nice to have a change of scenery after a few days of reef-only diving. 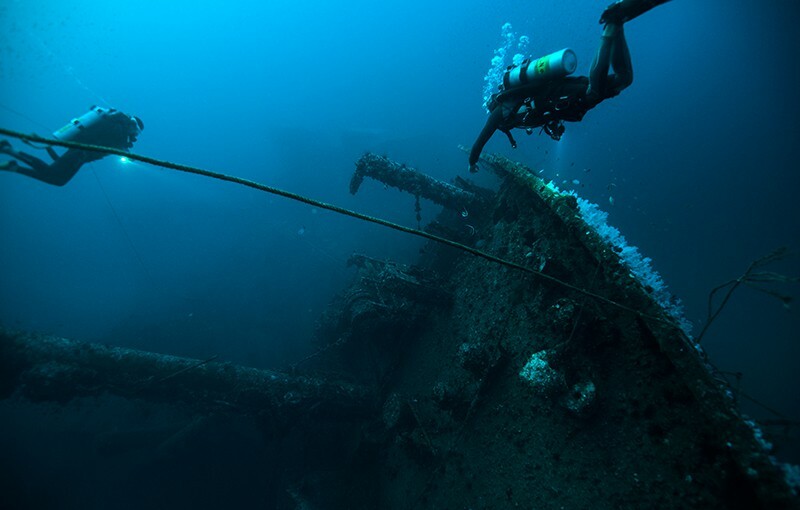 The location of the wrecks makes them a perfect spot to dive on the way back from a MV Giamani cruise to Similans, Koh Bon, Tachai and Richelieu Rock.